Hi Ladies! Just a quick one from me today to show you all my latest purchase from Benefit, 'Brows A-Go-Go'. I'm a little OCD when it comes to eyebrows as I like them to be dark and defined, I find it really makes all the difference to your sort of everyday make-up look. In the past I've absolutely loved using the infamous HD Brows palette but decided to switch it up a bit when I came across this. I was in Boots in Westfield and if you've ever been you'll know that you can really get lost in there, and the beauty blogger in you can just go wild! I apologise for the awful camera quality. My mum has insisted she takes my camera with her to Amsterdam so my iPhone had to do! I was oomphing and aahing over several things from Benefit as their products are just to die for. The packaging, the overall customer service and of course the product itself. I picked up Brows A-Go-Go as I'd just had my eyebrows threaded the day before and was feeling spontaneous and thank goodness I did! I truly believe I've found a new 'holy grail' product. For £26.50 it comes with two shades of brow powder, eyebrow wax to keep stray hairs at bay, a brow bone highlighter, an eye brightener, mini eyeliner, a cute pair of tweezers and a double ended brush for application. 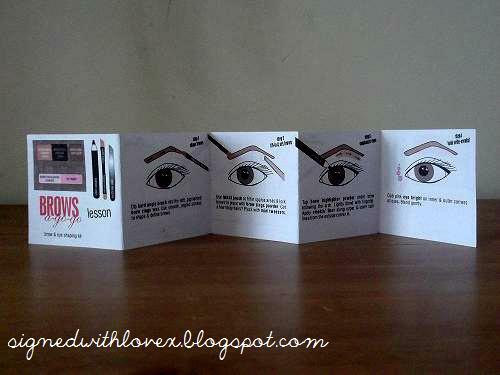 I also think the little make-up lesson book that comes with it is oh so cute and a really nice touch. ♥ Eyebrow Powders - The lighter shade is a medium-dark taupe brown, while the darker brow shade is a dark chocolate brown with subtle red undertones. Sometimes if I fancy a more defined brow I mix the two together for a darker effect. ♥ Eyebrow Wax - The wax is a cross between the two, not too light and not too dark. It keeps strays hairs away, so it's time for me to put the Vaseline away! ♥ Black Kohl Liner - I will never stray from my trusty Rimmel Kohl eyeliner as nothing I've found has ever topped it! This one felt a little scratchy on the waterline and wasn't very pigmented. ♥ Highlighting Powder - Probably my favourite part of the entire kit, the highlight powder is amazing. Its a shimmery pale pink and adds just enough oomph without looking ashy. ♥ Eye Brightener - I don't see too much difference when I use this, its a cream form of the highlight powder and because I have an olive skin tone just looks wrong. It would look great on girls with lighter skin tones though! 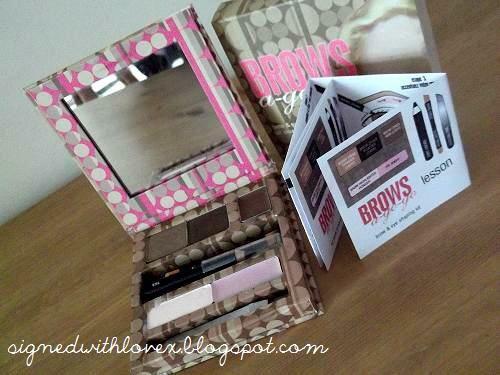 If you haven't already invested in a brow kit, then do it! It makes such a difference and outlines your eyes beyond belief. 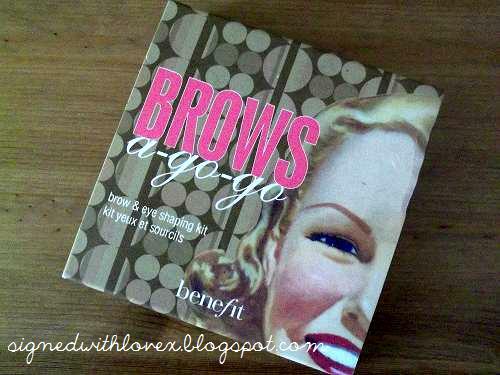 And Benefit Brows A-Go-Go gets a definite thumbs up from me! What are your go to brow kits? Have you tried \Benefit's \Brows A-Go-Go?